Layla is the sassiest bat cat in her family! She loves to perch up high, and survey her domain. She loves to play with toys on sticks as long as her people have the attention span for it! Layla was fostered with four teenagers, three large breed dogs, her family of 6, and 5 more cats that she isn't related to. Needless to say, she's very well rounded! Layla would do well as a solo cat, or as a companion to existing cats and dogs in your family. 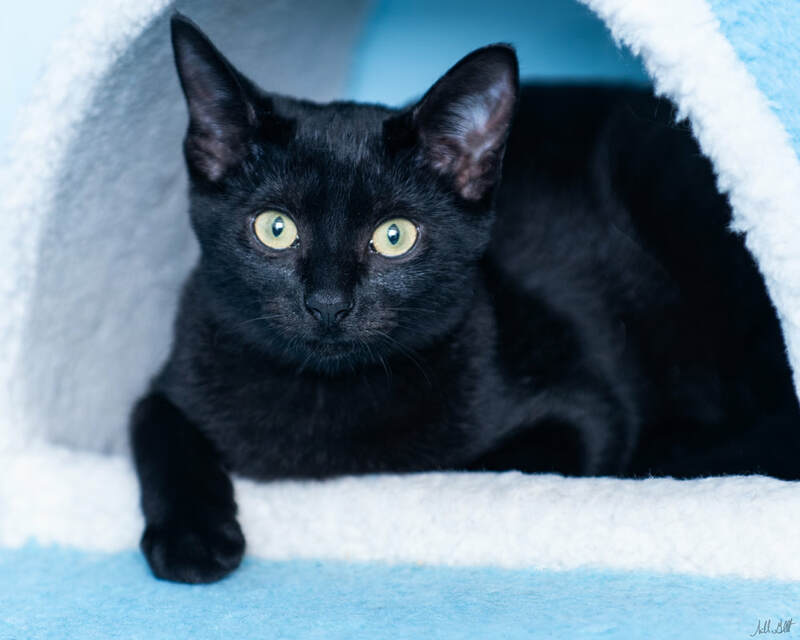 If Layla is the bat-cat that you deserve, bring her home today!